Growers, gardeners and horticulturists have alot to benefit from aeroponic cuttings in their day to day activities. With the right aeroponic cloner tips, they are able to grow fast roots that are free from disease and do not need any propagation. 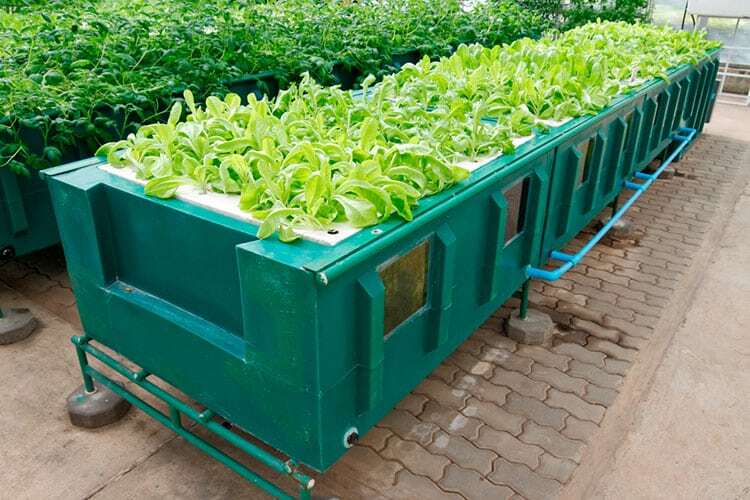 This way, they can be easily transplanted to other aeroponic systems or anywhere else where the growth and development of the plant can be sustained. In this discussion, we shall be taking a look at how you can make use of aeroponic cloning for more effective and healthy cuttings. We shall be doing this by looking at what aeroponic cloning is, how it works, and end by providing basic aeroponic cloning tips. Top Aeroponic Cloner Tips: Rule of Thumbs! There are a number of aeroponic cloner tips that have been provided by a number of plants experts and growers. Everyone who knows how to use a cloning machine should have experience with aeroponic cloning. The more often you clone plants making use of the aeroponic system, the more likely you are able to come up with other innovative ways to go about it. However, the best of this tips is what has long been referred to as the rule of thumbs. The mother plant must be very healthy and free from any bacterial or fungal infection. You should also make sure the mother plant has a color and scent that appeals to the purpose for which it is to serve in the garden or where it is planted. Also make use of disinfectants if necessary to be sure nothing escapes that can contaminate the plant that is to be cloned. For a successful cloning to be effected, a certain water temperature is required. In order to maintain the right water temperature, you can see to adding certain antibacterial or anti-fungal disinfectants into the water body. This not only helps to maintain a stable water temperature, it also means you will not need to be applying these disinfectants all through the aeroponic cloning process. Take away from the environment any item capable of interfering with the cloning process. Make sure the environment is fumigated and free from any pest or disease that can affect or stunt the root growth of the plant. If you are making use of light, make sure it is kept at an average temperature because plants in the cloning process may not require too much light. Just keep the light at a distance from the plants not so far away, and not so close enough. When carrying out aeroponic cloning, make sure you don’t settle for any of those average premium fills. While high quality premium fills can be very expensive to purchase, they are still the best option to be used. High quality premium fills increase your chances of having a more accelerated root growth than you will when making use of a low quality premium. Every step through the aeroponic process will require that you effect some changes. Bring in these changes when it is needed in the quantity it is needed. When you are to change the water and its pH content, make sure to do so. Dip cuttings in rooting gel before putting it in the cloning systems. When cloning begins, don’t just take note of the steps, make changes as it is needed. When you have done all that is needed to be done to effect a successful aeroponic cloning, don’t get panicking. You need to exercise a lot of patience in observing the root growth process till it grows big and healthy enough to be transplanted. Aeroponic cloning requires a lot of patience, but this should not amount to anxiety so that you don’t interfere with the root acceleration and alter the whole process. With a lot already said about aeroponic cloning, and some aeroponic cloning tips provided, let’s quickly run through some additional tips. These additional tips can be very helpful to you when cloning plants making use of the aeroponic systems. Make sure that whatever instrument, be it knife, razor or scissors to be used, is well sharpened and sterilized. To achieve outstanding cloning results, make sure all cuttings are dipped and left for a while in a rooting gel to accelerate the root growth faster and better. Clean the aeroponic system after every use before restarting a new usage cycle. This will help to keep it free from any sort of bacteria, mold or other materials that may interfere with the cloning. When aeroponic system isn’t properly cleaned, you might just be spoiling the whole process even before starting. See to combining bacteria or pathogen control solution with the water to be used. This helps to keep the water at an average temperature making it good for cloning. It also helps to save the stress of making use of these disinfectants all through the process. It also keeps the cloning environmental clean and fit for cloning. It is always best to start cloning making use of a very healthy mother plant that has strong resistance against pest and diseases. This mother plant should be at least two months old and in good condition for cloning. A 6.0 pH level is the most preferred level the water should be to consider it appropriate for cloning. Use less additives because a number of them contain chemical components that might be harmful to the cloning process. In making use of light, make sure it is done moderately and kept at a distance slightly away from the plant. Remember that you have to prepare stem cuttings before you begin cloning. In doing this, make sure all extra and unnecessary leaves are removed from the cuttings. For bigger stems, you can cut them into two equal halves. This enhances the plants ability to concentrate on root development. Take your time to understand the cloning process and take your time while carrying it also. Most importantly, be patient enough to take note of every step through the root growth process. 100% success might not be fully guaranteed with cloning, but make sure you have realistic expectations and follow them through. Don’t panic, or be over anxious when you are expecting the results. Put your mind at rest when the clones are in place and expect the result. Check on a timely basis which could be after every 3 days and document changes. Aeroponic plant cloning systems are to be used only for plants and not for humans. So make sure you keep the aeroponic system away from the reach of children or anyone who doesn’t understand its operation. Make sure to adhere to the safety precautions that comes with making use of the aeroponic systems. Even when you adopt other techniques, make sure to get a reliable cloning machine. Wear hand gloves, goggles and ear protection to avoid any of the chemicals to be used from coming in contact with your body. These chemicals can damage your skin as they are for plants and not for humans. As a gardener or a horticulturist, looking for the best way to enhance the quality of your work should be your topmost priority. Plants offer one of the best feel of nature if they are properly grown and well nurtured. This is why you have to keep these aeroponic cloner tips at hand. When you know how to go about aeroponic cloning in the best possible way, you will be able to handle bigger gardening projects faster and better. You will also be able to produce fast growing roots of plants that helps enhances a good feel of nature within and outside your environment where you stay or work. 1 How to Use a Tig Welder for Advanced Metalworking Projects? 6 How to Use a Heat Gun? 8 How to Cut a Straight Line Appropriately with a Reciprocating Saw?